Long associated with love and flirtation, the humble strawberry is also extremely good for you! In fact, they were traditionally used in natural medicine to treat inflammation and even gout. As you may know, strawberries are high in vitamin C but they also contain high levels of folic acid, potassium and fibre. 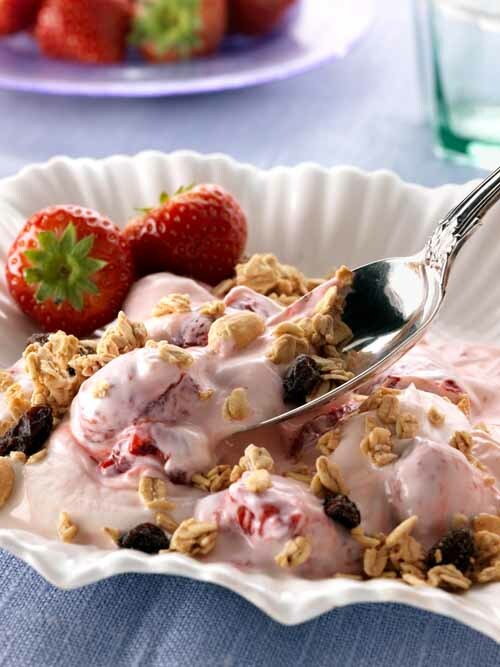 Throw them into a pot of GM-free soya yogurt and granola and you have our Vegan Strawberries! 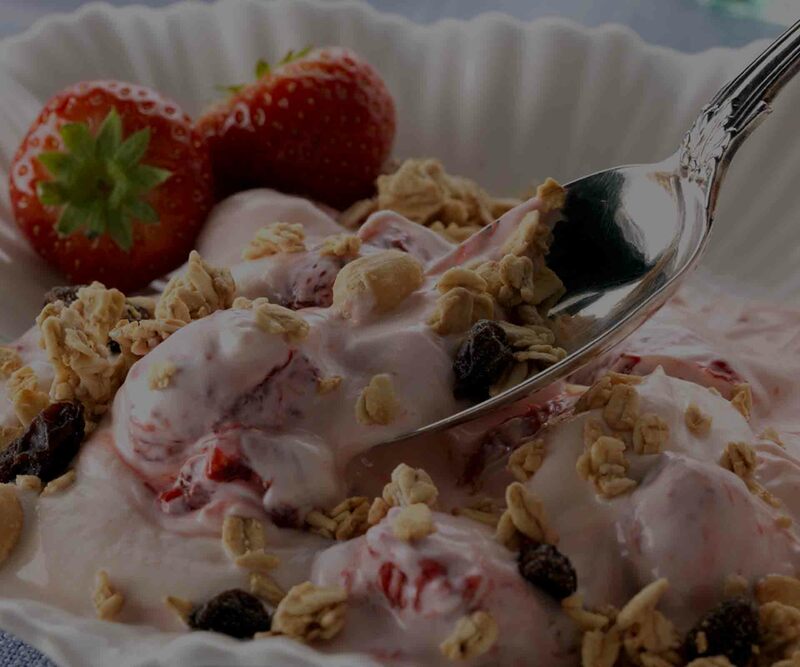 Organic fresh live soya yogurt (GM-free soya beans), strawberries 10%, wholegrain oat flakes, raisins, almonds, hazelnuts, desiccated coconut, sunflower seeds, pumpkin seeds, organic agave syrup.